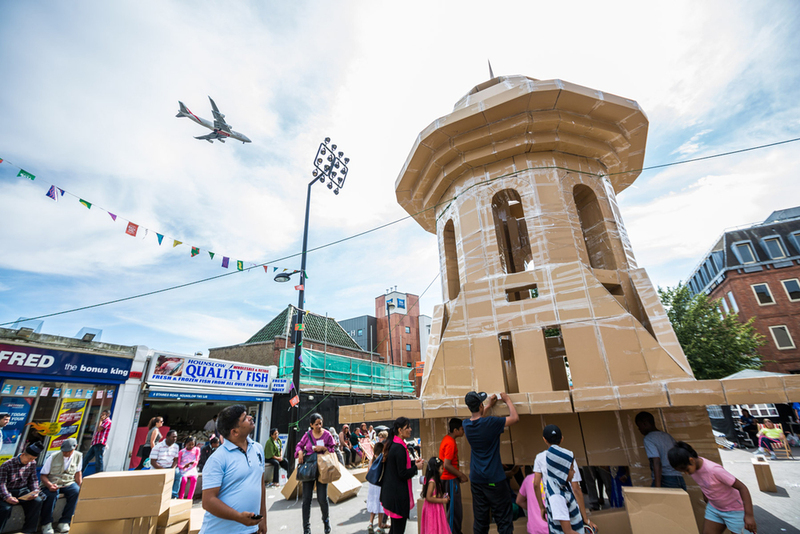 Across the summer of 2015, Circulate worked with renowned French artist Olivier Grossetete to bring The People's Tower to schools, high streets and squares around London. 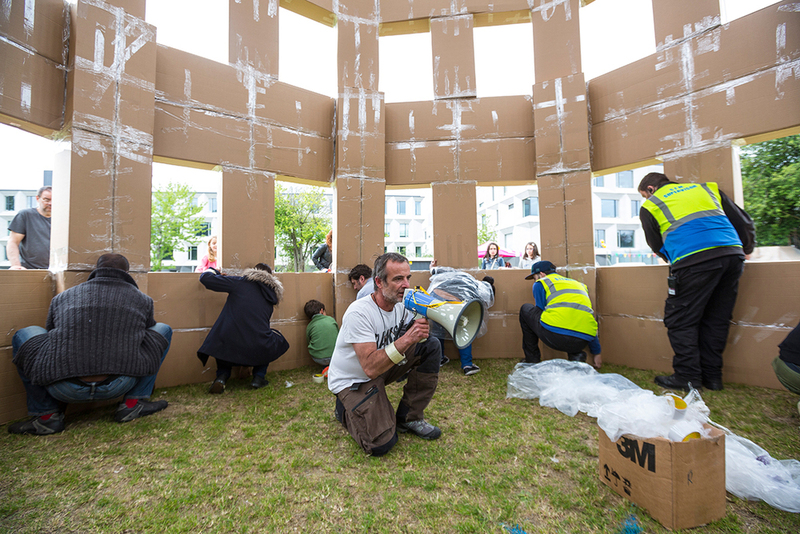 Five unique, temporary towers were created by over 1000 local people in workshops at each of the Circulate venues, constructed using nothing more than people power, tape and cardboard boxes! Each tower was unique, either a direct response to the architecture of the location or developed through community inspirations, such as Musgum huts and Gaudi’s Batllo house in Barcelona. 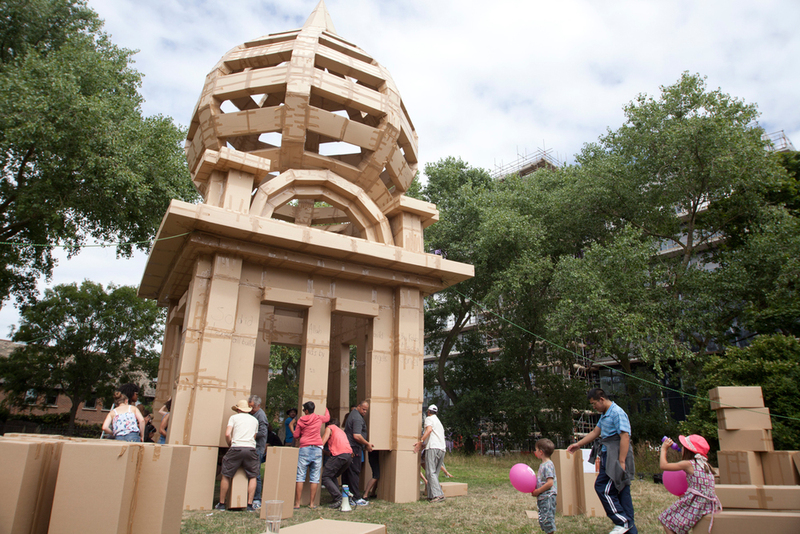 In Hounslow the artist created a replica of the iconic Kew Bridge standpipe. The simplicity of the execution meant that the project crossed language barriers, was ability accessible and engaged over 4000 people across its five locations. Despite their differences, the towers were a monumental display of community effort, each growing to at least 21m before being ceremoniously demolished. Watch The People's Tower at The Albany. What goes up must come down!